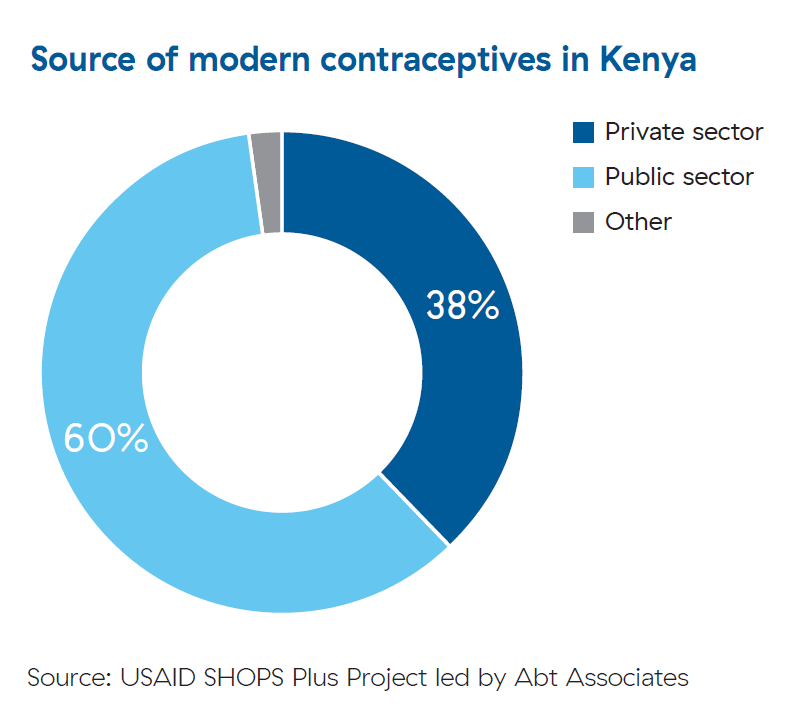 More than one-third of modern contraceptive users in Kenya obtain their method from the private sector. Understanding where women acquire their family planning methods is important to increase access to modern contraception and catalyze efforts to meet Kenya’s Family Planning 2020 commitments and Health Sector Strategic and Investment Plan goals. This brief presents a secondary analysis of the 2014 Kenya Demographic and Health Survey to describe where modern contraceptive users obtain their method and to examine the contribution of the private sector to family planning.